The UK’s National Institute for Health and Care Excellence (NICE) has recommended the use of Boston Scientific’s Enduralife-powered cardiac resynchronisation therapy-defibrillator (CRT-D) devices to treat heart failure patients. Enduralife-based CRT-D will enable to treat patients with a type of heart failure that reduce the efficiency of left chamber of the heart called ventricle, which pumps adequate oxygenated blood across the body. A CRT-D is a small battery powered device, which will be placed into the upper chest below the left shoulder. To control the rate of the heartbeat, the leads from the device travel through a vein into the heart. It helps to continually monitor an irregular heartbeat and deliver a small electric shock to return the heartbeat to its normal rhythm. As per the NICE, around 3000 patients are expected to benefit from the technology each year, helping NHS to save around £6m over five years through fewer operations to replace the devices. NICE centre for health technology evaluation director professor Carole Longson said: “Having a longer battery life for CRT-D devices helps improve patient experience by increasing the time between replacements, meaning fewer overall replacement surgeries. 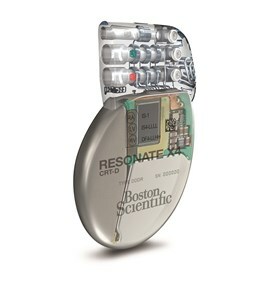 Boston Scientific global health policy and rhythm management senior vice president and chief medical officer Dr Kenneth Stein said: "We are proud to have our EnduraLife Battery Technology recognized by NICE's evidence-based review process and available for the benefit of patients and the healthcare system at large." Image: Enduralife-based CRT-D will help to treat patients with a type of heart failure that affects the ability of the left chamber of the heart. Photo: courtesy of National Institute for Health and Care Excellence.